Cost to install a swimming pool water filter varies greatly by region (and even by zip code). Get free estimates from swimming pool builders in your city. Cost to install a swimming pool water filter varies greatly by region (and even by zip code). How much does it cost to install a swimming pool water filter? Pool filters are used to clean debris from the water and help maintain a clean pool. For the purpose of this discussion, we will use the average swimming pool size of 19’ for an above ground swimming pool and 32’x16’ for an in-ground swimming pool. Sand Filter: it is filled with no. 20 silica sand graded specifically to trap particles and debris. 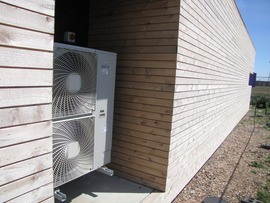 The sand is located in the filter housing and the filter is connected to the swimming pool by hoses; intake and output. This filter traps debris and particles from 20-100 microns. Cartridge Filter: this filter is a pleated construction made of polyester fibers that are wrapped around a hard plastic core. It is sealed on both ends to hold the pleats in place. The water flows through the pleats to the core and then, cleaned water is dispensed back into the pool. This type of filter traps debris and particles from 25-100 microns and works best in salt systems. Diatomaceous Earth Filter: the filtering agent is a powder made of microscopic skeletons of diatoms. The powder is added at the skimmer and dissolves on the way to the filter housing. The housing has grids inside that are covered with a nylon fabric. The dissolved powder sticks to the fabric. The grids trap the debris which passes through the powder and then the fabric. This filter traps debris and particles as small as 3-5 microns and works best in chlorine 1 pool. Determine volume of your pool (length x width x depth x 7.5 or radius2 x 3.14 x 5.9 for round pools). Divide the pool capacity in gallons by the turnover rate: 12 (minimum to meet standard health codes is 2 times in a 24 hour period). Divide the gallons per hour by 60 to get gallons per minute. Choose a water filter system that matches or exceeds the flow in gallons per minute you calculated. Example: Average pool = 32’(L) x 16’(W) x 5’(D) x 7.5 = 19,200/12 (1 turnover in 12 hours) = 1600/60 = 26.66 gal/minute. You need a filter that filters about 27 gal/minute. Many above ground pools come as a complete system which includes the water filtration system too. As you are buying the above ground pool, it would be best to inquire as to what type of filter comes with the system to make sure you are getting sufficient flow and cleaning power. For an above ground pool, there are two types to choose from, sand and cartridge. The cartridge is the most popular. For the averaged-sized above ground pool, it is suggested to use a filter system with a pump 2 of 1 HP (horse power); any stronger than that may push sand into your pool if you choose the sand filter or damage the vinyl 3 of your pool. For your in-ground pool, any type of filter is okay, so the decision is basically done by you. The most efficient is the DE filter, but it is also the most expensive. The next system is the cartridge system which is more reasonable but may take more time and manual labor to clean the filters. The sand filter system is also very popular, but it is the least efficient. Overall, the DE filter is considered the best and can save you problems down the road. The same principals apply to salt water pools: you can use any of the three types of filters. A sand filter will last 3-5 years depending on the amount of use. The cost to maintain it will be approximately $100 in this 3-5 year period. Clearly, it is very economical to use. The cartridge filter can also be used; expenses with this type of filter are somewhat higher because you need to change the filter regularly. 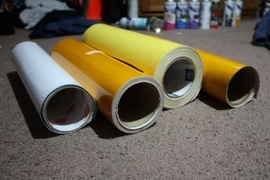 Some filters are very inexpensive ($5) and other can be quite high ($250+). The DE filter is still the best at removing even the smallest particles for salt water pools. Typically, setting up your above ground pool and water filtering system is straightforward. However, if you have trouble, you may need to hire a plumber. Keep in mind that the typical hourly rate for a plumber is $45-$65/hour. It should take about 1-3 hours depending whether you are working from scratch or with a package deal. For in-ground pools, the water filter system may be more complicated. There will be both plumbing and electrical requirements. These requirements may be included in the contract you have with the business installing your pool. However, if you have to hire a separate plumber and electrician, plan on spending $45-$65 per hour for the plumber and $65-$85 per hour for an electrician. This project should take 1-3 hours. A pre-filter or skimmer basket is a net or basket of sorts that catches large debris before it gets to the water filter system. The pre-filter means a longer life for your water filtration system, and less maintenance and cleaning of the filtration system. Pre-filters are very inexpensive ($3-$30) depending on the size and type of skimmer you have. Automated pool cleaners can greatly help with keeping your pool free of debris. They are used in conjunction with the filter. There are several kinds of cleaners: suction, pressure and robotic. Suction cleaners are easy to use and cheaper ($99-$249) than the other two. They hook up to your water filter pump and randomly move about the pool sucking up debris. Pressure cleaners ($199-$599) are powered by the water pressure from the pool return. They are popular because they have a lot of power and work well. Robotic cleaners ($264-$4799) are neat little units that vacuum and scrub your pool. Some brands are more suitable for vinyl 3 and gunite 4, so check with your supplier to make sure you get the right cleaner. Cleaning of sand filters requires a backwashing process which consists of running the system backwards through the sand and discarding the waste water. This backwashing is followed by a rinse mode that repacks the sand. The cartridge filters are cleaned relatively easily. They are removed from the housing and hosed off until any particles and debris is gone. The DE filters are backwashed similar to the sand filters. More DE powder is then added at the skimmer to dissolve and recoat the elements. There are a variety of things you can do to keep your water crystal clear and inviting such as skimming the pool by hand a couple of times per week, vacuuming the pool at least once a week and brushing the sides of the pool. Depending on your budget, you can always hire a pool maintenance professional. Average cost for these services is about $100/month on the low end and $150/month on the high end. There are a variety of chemicals used to sanitize pools and keep the bacteria and algae count at its lowest. These chemicals work independently of the filter system. There are several chemical options. The most popular is chlorine 1 ($80/35 lbs. ), which is a strong chemical and can also cause skin irritations. Salt chlorine 1 ($30/40 lbs.) is the next type of chemical and seems to be less of an irritant to swimmers but it is more corrosive to the pool. Bromine ($119/25 lbs.) is a more stable chemical, but it too is expensive and is weak in oxidation. Ozone generator ($175-$1745) is much stronger than chlorine 1 but short lived. Keep in mind that chemicals are independent of the filter; however, you cannot interchange them. Mixing chemicals can be dangerous. If you want to change from one chemical to another, you will have to go through a conversion, cleaning out the old filter housing and adding new sand, cartridges or DE. How much does it cost to install a swimming pool water filter in my city? Cost to install a swimming pool water filter varies greatly by region (and even by zip code). To get free estimates from local contractors, please indicate yours. 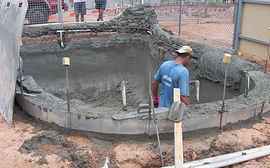 A type of concrete used for building concrete pools, lining tunnels, and structural repair. It is applied by being sprayed through a pressure hose, and produces a dense, hard layer of concrete.